There are times that I could sing and dance along with Pharell Willliams' Happy song. Here Pharell is using the imagery of Sunshine ( light and darkness) to represent good cheer and gloom. Dark and stormy weather is depressing, while bright sunshine lifts the spirit, right? When you're depressed the soul feels weighty and heavy but it's the exact opposite when your happy. You feel light, the spirits soar with the winds like a hot air balloon. This you should remember, for the sake of happiness, God's grace is ladled out on daily basis, think of today first and how you can go above and beyond your personal struggles. God knows all about it, so just count on Him and His faithfulness no matter what life brings. I've been a witness to that you see. 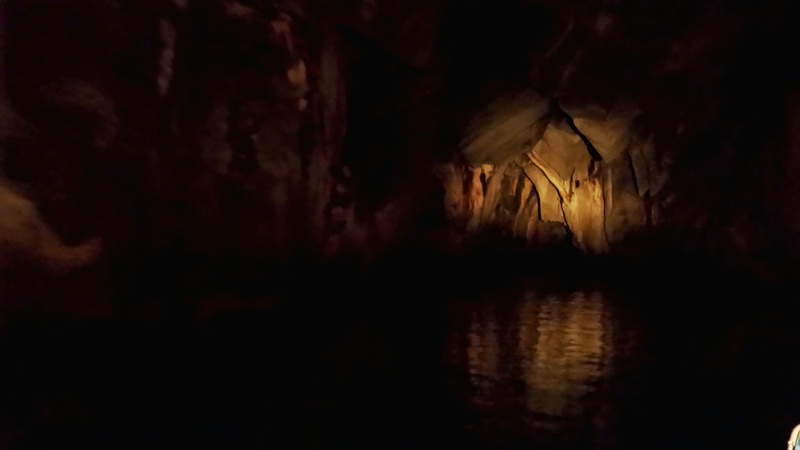 On days I can't sing along to the song Happy, I go back to the mighty awesome things God had laid out for me, like this three-day "Sabang, Palawan adventour" provided by Sheridan Resort and Spa. If you are planning, planning, planning, let this list make you just go there and get a doze of adventure yourself, bask in the beauty of nature. let loose, let God! 1. Take an early morning stroll along the shore. 2. Have your #BOOTD (beach outfit of the day) at the beach. beds where you can play cards, read books or just lazy around. 3. 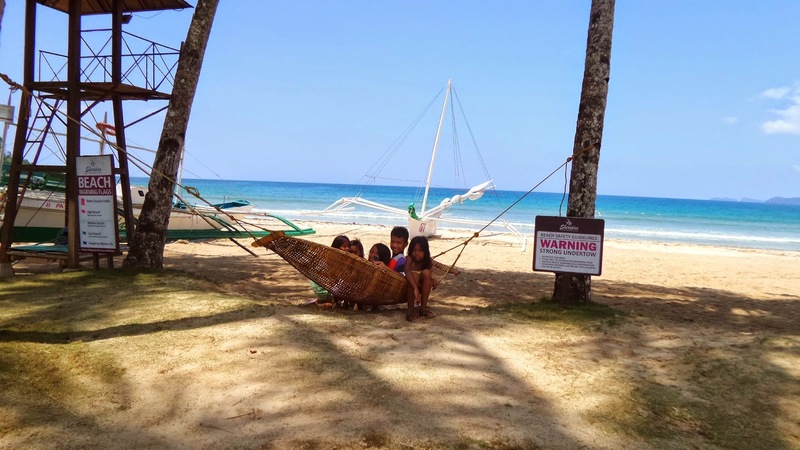 Capture every beach moments, like these kids on a swing. so why not join the bandwagon and feel like a pro for a day. 4. Swing high, swing low. 5. 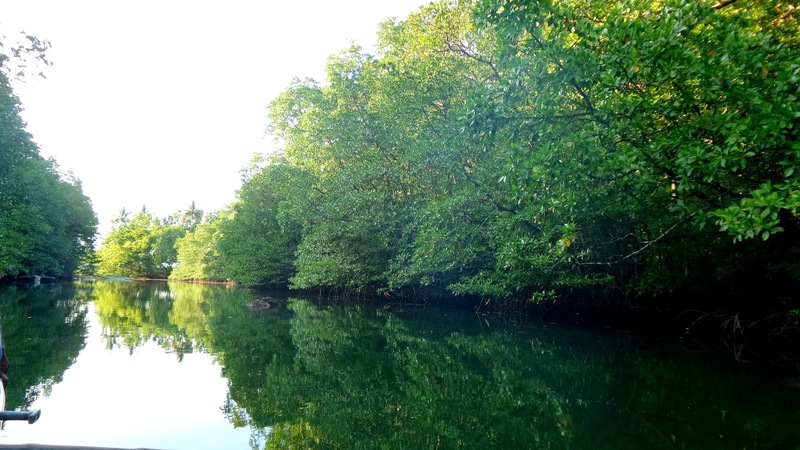 Explore the Sabang jungle on cool ATV rides! 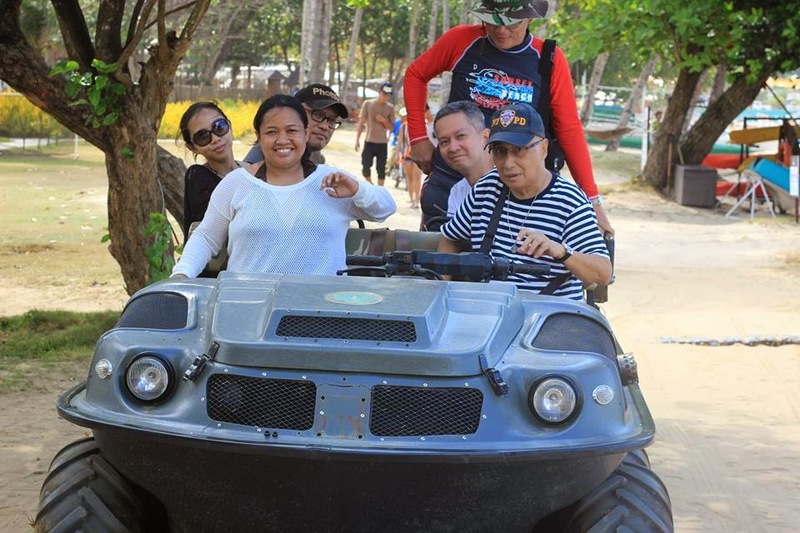 Or ride on an 8 x 8 ATV that goes to the end of the beach or to the mangroves. 6. Make some reflections, well, can be taken literally. 7. When the waves aren't strong, do some kayaking, or hire a paddle boat. 9. 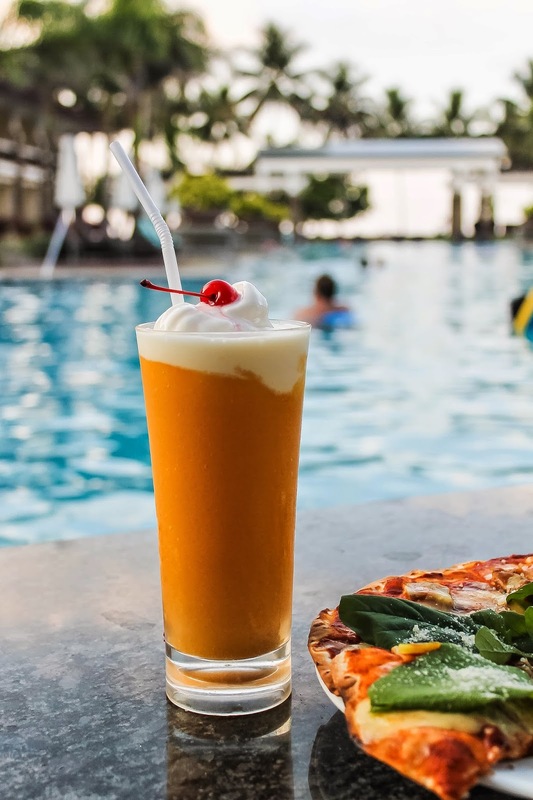 Have a snack at Sheridan's Wet N' Dry Pool Bar, while dipping in the pool. 10. Have an acoustic dinner at the al fresco buffet prepared by Sheridan. 11. 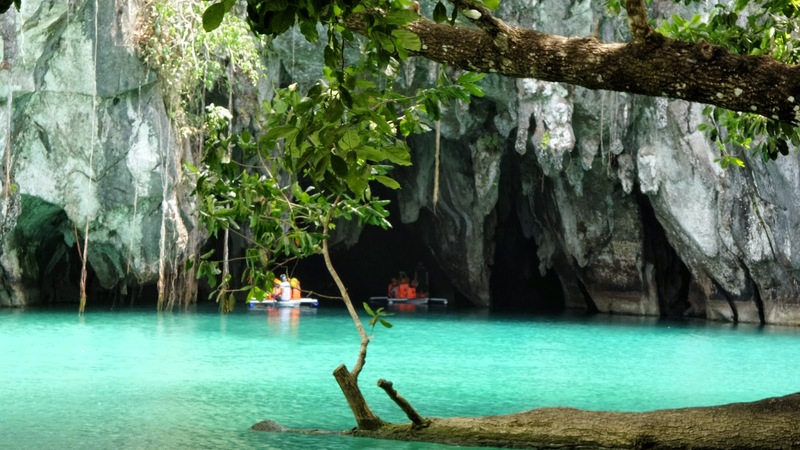 Visit the Underground River. Make sure to bring cameras that work in dark areas. I'm using my Samsung Galaxy K Zoom here. 13. 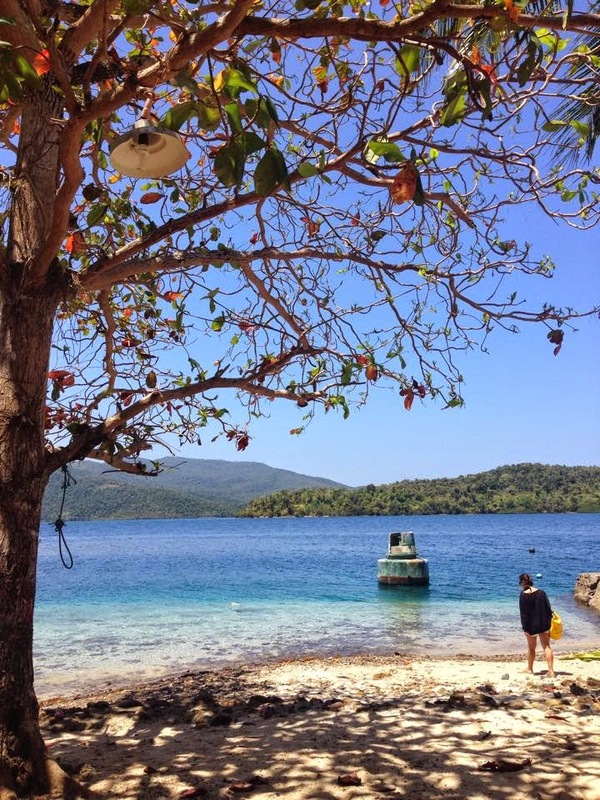 Go on an island-hopping. 14. Check out Isla Rita. 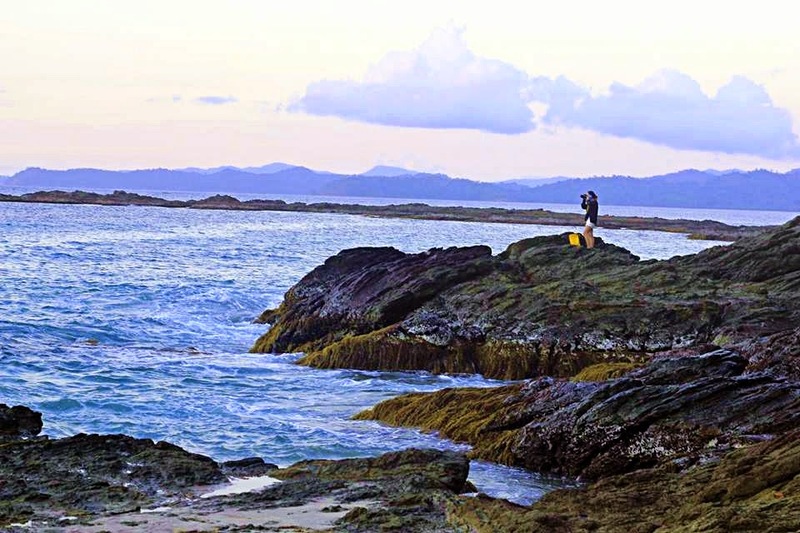 Do check Benjie Layug's article about Isla Rita here. 15. 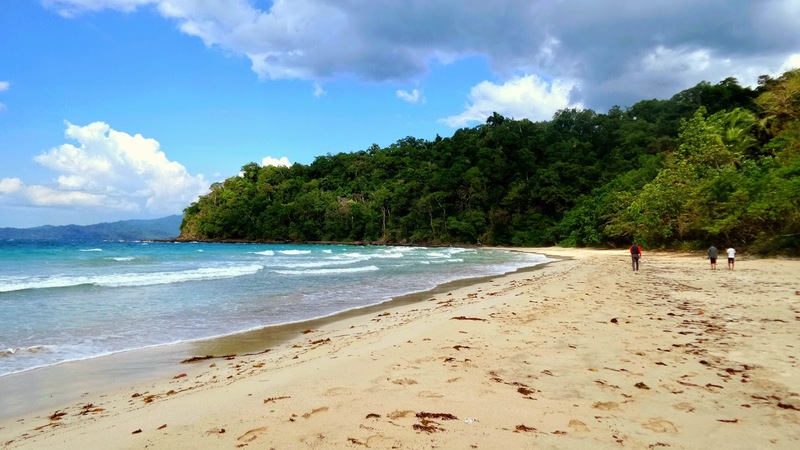 Walk the long stretch of Sabang shore. This, I checked out off my bucket list already. This long walk, incidentally, leads to the breath-taking adventure of zip-lining across the ocean. so you need to hike up a hill to reach the start line. The hike is doable at a 15 minutes tops. 17. 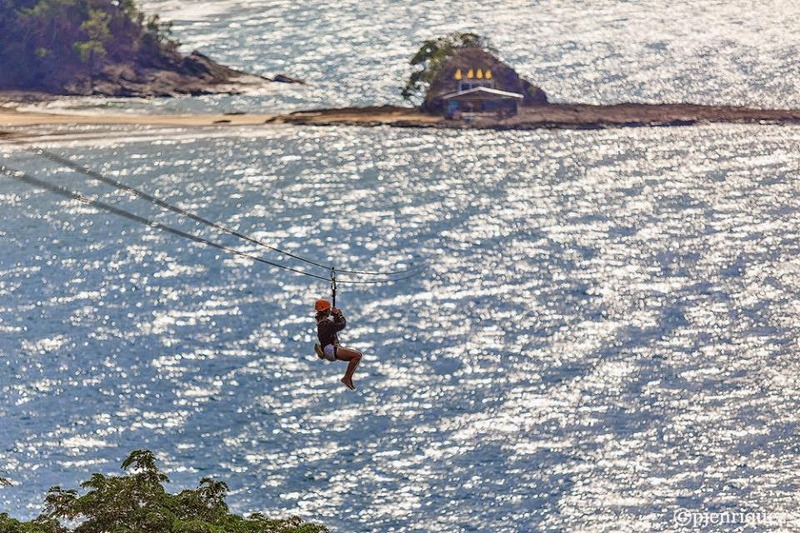 Zip-line your way down to the sand bar. Once you're on the jump- off, this will be your scenery. PJ Enriquez'(Philippine Daily Inquirer) photo of me. 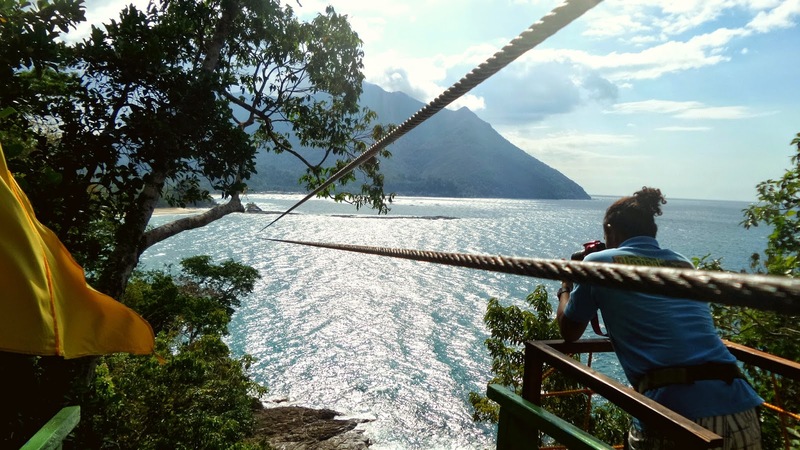 Sabang X Zipline's photo of me, almost finishing the slide. South Sea Restaurant and make pizza with these chefs. 19. Hungry for more adventure? with other local wildlife and plants. 20. 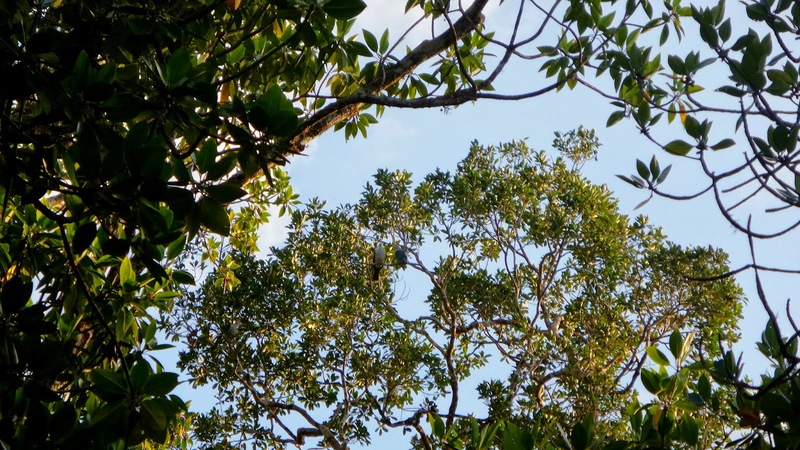 Bird-watching is also part of the many activities being carried out by the tour-guides. My, they are very keen in seeing migratory and exotic birds in the area. 20. 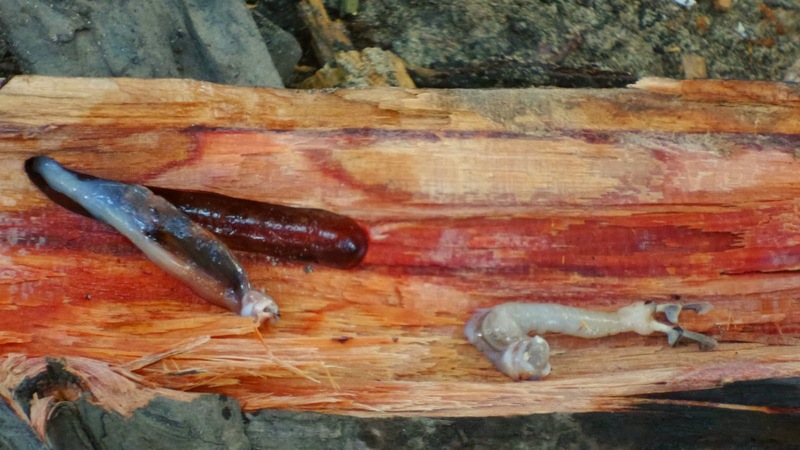 Eat freshly-plucked tamilok (wood worms). and opened it up in their camp. I never expected to see one that is so alive. I didn't eat it. See my eating experience of tamilok here. 21. Scale the rocky sides of the beach. 22. Take more photos of the hills and the sea from this angle. This place is such a nice place for some "alone" time. 23. Catch the waves or be caught by it. 24. 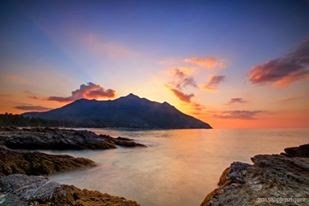 Capture the sunset of Sabang, Palawan. 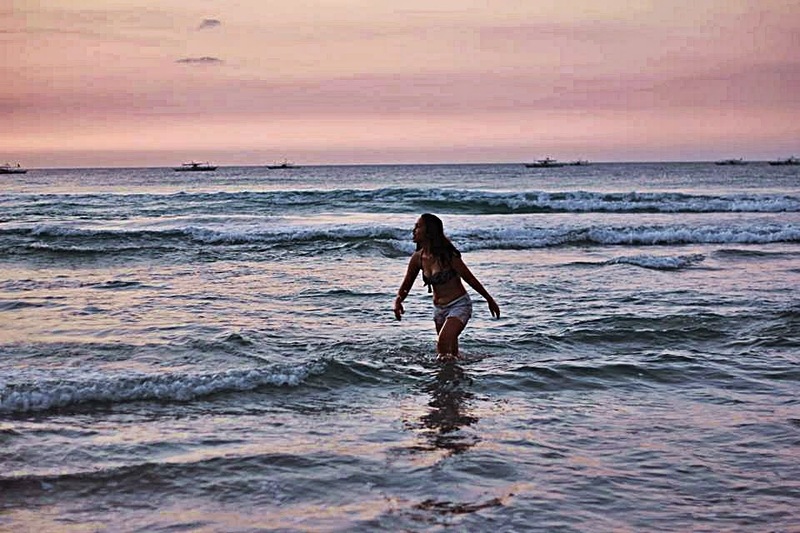 PJ Enriquez' photo of the sunset. 25. Take time to be pampered with a massage, manicure and pedicure at Sheridan Nature Spa. 27. Visit Sheridan's Organic Farm. 27. Play and feed the farm animals, sort of like farm-living for a day. 28. Organic Boodle fight with friends at Sheridan Organic Farm. They are the largest supplier of Black rice in Puerto Princesa. 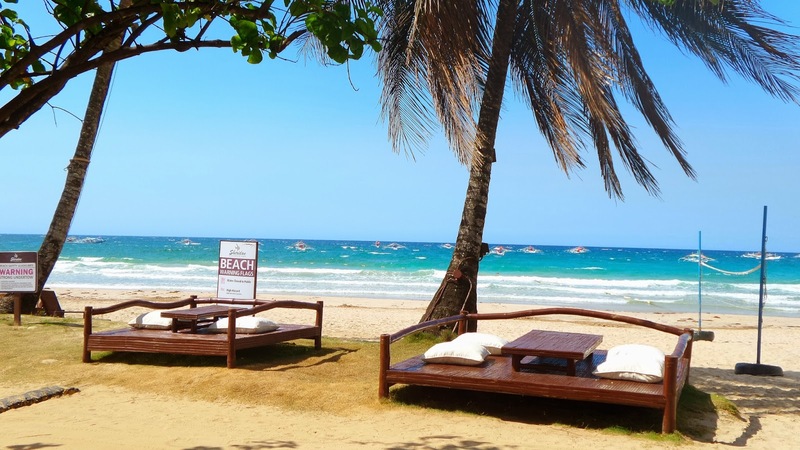 just a couple of minutes walk from Sheridan Beach Resort and Spa. and don't forget cashew nuts. 30. There are more things to do here, but I'm just gonna end it here. knowing God is in control of it all. We can have confidence that no matter what chaotic the circumstances of our lives may be, God will take us through it. "You will keep in perfect peace him whose mind is steadfast. because he trusts in you." What Isaiah was telling us is that perfect peace is the reward of steadfast, unwavering trust in God. 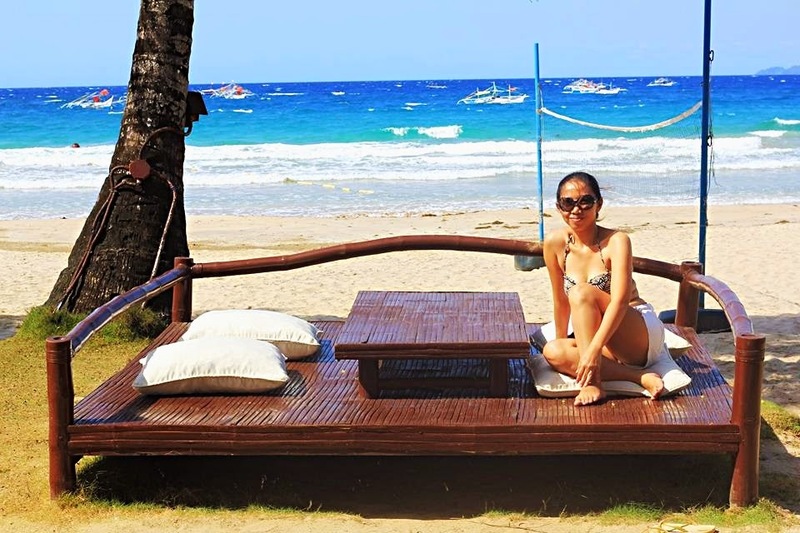 NTBN: If you want to get an itinerary of Sabang, Palawan Adveture Tour, do contact Sheridan Beach Resorts and Spa. Contacts details below.